Joe Lavigne is a partner in the Labor and Employment Practice Group and an experienced litigator in trade secret and non-compete disputes. 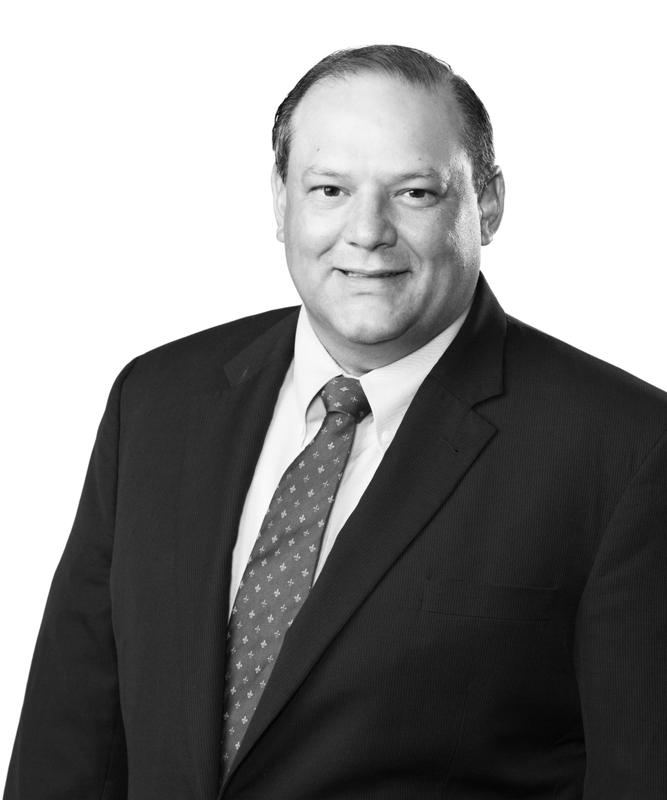 As a lead attorney on Jones Walker’s trade secret and non-compete team, Joe focuses his practice on prosecuting and defending claims of employee misconduct involving trade secret violations, unfair trade practices, non-compete violations, invasion of privacy, Computer Fraud and Abuse Act issues, theft, and related disputes. He also advises clients on employment policies and practices and regularly negotiates employment agreements for employers. Joe represents clients as plaintiffs and as defendants. This allows him to understand all sides of a given case, which is beneficial for advising clients prior to suit, negotiating resolutions, and litigating disputes. Clients regularly look to Joe to handle high-stakes litigation necessary to protect the client’s confidential, proprietary, and trade secret information. Clients also look to Joe to vigorously defend them when unfounded misappropriation claims are made. While his primary focus is in Louisiana and Texas, Joe has handled these cases across the United States, including in Alabama, Florida, Georgia, Illinois, Mississippi, and Utah. Joe’s practice also includes labor relations, employment litigation (e.g., employment discrimination, harassment, and retaliation claims, and litigation under the Fair Labor Standards Act (FLSA)), and professional liability litigation (e.g., legal malpractice, errors and omissions for insurance agents and stockbrokers, and defense of homeowners&apos;/condo associations and their boards of directors). A founding member of The Trade Secret Insider, Joe presents regularly at legal and industry conferences, where he speaks on issues related to protecting confidential and trade secret information, and prosecuting and defending claims regarding the same. Lagniappe Logistics, Inc. v. Citation Logistics, LLC et. al. Louisiana 22nd Judicial District Court Case No. 13-13979. Lagniappe filed a suit against our clients, three former employees and their new company, alleging theft of confidential information and trade secrets, breach of fiduciary duty, and unlawful competition. The plaintiff was seeking damages in excess of $26 million. The case was tried over the course of six days and the court returned a complete defense verdict with no liability or damages. The defendants also proved spoilation of evidence at trial and recovered the forensic costs to recover that evidence. Lagniappe appealed the defense verdict to the Louisiana First Circuit Court of Appeal and we filed briefs in opposition and appeared at oral argument on behalf of the defendants. The First Circuit affirmed the trial court&apos;s verdict. Lagniappe then sought to overturn the trial court and appeal court by filing a writ with the Louisiana Supreme Court. We opposed the writ, and it was ultimately denied by the Supreme Court. Orion Marine Construction, Inc. vs. Mark Coyle and Crosby Dredging, LLC. Client’s former Vice President of Business Development of 18 years resigned and began working for a competitor. We investigated the former VP’s actions prior to resignation and learned that he misappropriated a substantial amount of Orion’s trade secrets and proprietary information. Within days we filed a lawsuit and obtained an injunction prohibiting the defendants from using that information and an order requiring that the VP’s personal and business devices and accounts needed to be turned over for a forensic examination. The forensic investigation uncovered an unprecedented misappropriation of Orion information and that the defendants failed to turn over all devices and accounts ordered by the court. These findings led to an emergency motion for contempt and to modify the existing preliminary injunction. Those motions were handled during a three-day evidentiary hearing and the court found the VP in contempt and modified the injunction to prohibit the VP and the competitor employer from engaging in the Marine Construction Industry. Defendants unsuccessfully challenged the modified injunction on several occasions including another three day evidentiary hearing. The matter was settled prior to trial with competitor paying a multimillion dollar settlement and Consent Permanent Injunctions being entered. Total Safety U.S., Inc. v. Rowland, et al. Representing the plaintiff, Total Safety, a suit was filed seeking injunctive relief and monetary damages for breach of contract, trade secret violations, unfair trade practices, violation of Computer Fraud and Abuse Act, conspiracy, and other claims. The Eastern District of Louisiana granted temporary restraining order and preliminary injunction and also found defendants in contempt of court. Contempt ruling resulted in the court ordering a special master to monitor the computer systems of defendants. Relevant decisions can be found at Total Safety U.S., Inc. v. Rowland, No. 13-6109 (E.D. La.) (R. Doc. 84 and 321). Kadant Johnson, Inc. v. Joseph V. D&apos;Amico, Louisiana Steam Equipment, LLC and Utilities Optimization Group, LLC. The plaintiff was seeking more than $162 million in liquidated and other damages based on a provision of a non-disclosure, non-competition, and non-solicitation agreement (NDA) that had been in place prior to the two companies parting ways. The plaintiff claimed that the defendant/client was restricted by a non-competition, non-solicitation, and confidentiality provisions that entitled it to $250,000 per breach. The plaintiff also filed claims of unfair trade practices, trade secret violations, copyright violations, and patent infringement, as well as general breach of contract allegations. Following a two-week trial with 29 witnesses and the admission into evidence of more than 900 exhibits, the US District Court for the Eastern District of Louisiana issued a ruling and judgment in favor of the defendants, dismissing all claims against the firm&apos;s client, Louisiana Steam Equipment, LLC, and various other related entities, as well as Mr. D&apos;Amico.